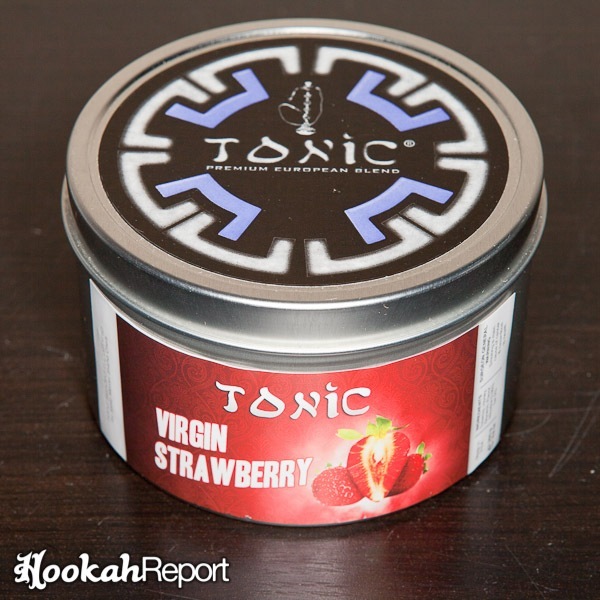 Tonic Virgin Strawberry is a “Made in America”, medium cut, extremely juicy tobacco. There are some moderately sized stems and tobacco leaves, some of which need to be plucked out to avoid any disruption in packing the bowl. Virgin Strawberry wasted little time getting started. The richest flavor and smoke were available within the first 10 minutes. The smoke was adequate, but not impressive. The flavor was more sensitive to heat than other flavors in the Tonic lineup. Too much heat produced a distinct kind of smoky taste—but not like what you might expect from burning tobacco. If the heat is corrected quickly, the flavor can be redeemed, for the most part. The session lasted about an hour and thirty minutes. Virgin Strawberry doesn’t taste much like strawberries in a realistic sense. But in the world of artificial strawberry flavors, this one isn’t bad, but isn’t great either. This one is candy-sweet and In real world comparisons, Virgin Strawberry tastes quite a lot like those individually wrapped strawberry candies. It seems as thought most, if not all, strawberry hookah flavors fall short of what most of us are really hoping for: something sweet, but also fresh and maybe the tiniest bit tart. 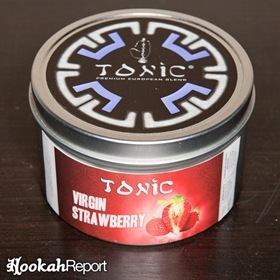 To date, I haven’t tasted a strawberry hookah flavor that really hits the mark and this one isn’t really an exception. That been said, for what it was enjoyable and company in the smoking circle responded quite well to it. For a strawberry flavor, this one is among the better that I have tried. If you’re in search of the perfect strawberry hookah flavor—this one probably won’t be it. However, if you’re a fan of sweet berry flavors, or you’re already a fan of other strawberry flavors on the market, you’ll probably really enjoy this one.